Home » Debian , Fedora , Math , OpenSUSE , Repository , Science , Scientific Distributions , Software Packages , Ubuntu » Cadabra is a computer algebra system (CAS) designed specifically for the solution of problems encountered in field theory. Cadabra is a computer algebra system (CAS) designed specifically for the solution of problems encountered in field theory. Cadabra is a computer algebra system (CAS) designed specifically for the solution of problems encountered in field theory. It has extensive functionality for tensor computer algebra, tensor polynomial simplification including multi-term symmetries, fermions and anti-commuting variables, Clifford algebras and Fierz transformations, implicit coordinate dependence, multiple index types and many more. The input format is a subset of TeX. Both a command-line and a graphical interface are available. Input and output using TeX notation. A multiple-inheritance typing system using properties. Open source C++ code, with documentation on how to extend the system with new algorithm modules. All feedback is welcome (bugs reports, criticism, suggestions); please contact kasper.peeters (at) durham.ac.uk or post to the mailing list. Binary packages for Linux, Mac OS X (and no longer for Windows) can be found on these pages. 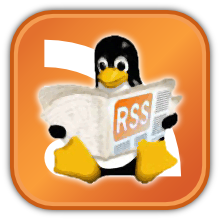 The source code, available below, should compile on most Linux and Mac systems. However, I only have limited access to various distributions and versions of these operating systems. If you try to compile it yourself and encounter problems, please let me know. After installation, the command cadabra will start the command line version and xcadabra will start the graphical front-end; on some systems there will also be an entry for Cadabra in your Applications or Start menu. Optionally, install the cmtt12.ttf font into your ~/.fonts directory to improve the GUI display. This is a broken dependency issue in the official repositories (which is fixed in the PPA version). If you want to install the packages by hand (using e.g. gdebi or dpkg), use the direct link to the modglue packages and the direct link to the cadabra packages. If you need Cadabra for an older Ubuntu version, send me an email. After installation, the command cadabra will start the command line version and xcadabra will start the graphical front-end (or choose cadabra from the Applications/Education menu). Cadabra is now also part of Debian, and is available in the 'sid (unstable)' branch. Thanks to Gürkan Sengün for making this happen. Packes for older Debian systems (Etch and Lenny) are available thanks to the work of Burkhard Bunk. Please consult the Debian packages page at the physics department of Humboldt University Berlin for instructions on how to install these. Note that their repository does not have the latest Cadabra version. I have built packages for Fedora 16 and 17 using the OpenSUSE build server. You need to install all four packages (lie, breqn, modglue and cadabra, in this order) in order to get a working Cadabra installation. You may also want to install one extra font (optional), cmtt12.ttf. Simply place this in the ~/.fonts directory in your home directory; this will improve the GUI display. The packages below were created and tested on Scientific Linux 5.3, but work on more recent versions as well. These packages are relocatable. If you need packages for an older version of Scientific Linux, please drop me an email. Store the font in the ~/.fonts directory in your home directory; this will improve the GUI display. After installation, the command cadabra will start the command line version and xcadabra will start the graphical front-end (or choose cadabra from the Applications/Edutainment menu). The packages below were created and tested on openSUSE 11.2, but hopefully work on more recent versions as well. These packages are relocatable. If you need packages for an older version of openSUSE, please drop me an email. After installation, the command cadabra will start the command line version and xcadabra will start the graphical front-end (or choose cadabra from the More Applications/New applications menu). Type "emerge cadabra" to install cadabra and its dependencies. Thanks to François Bissey for making this happen. If you need a package for a different Linux distribution, contact me by email or try to compile from source. The Fink version is outdated and known to lead to problems; if you would like to see it updated please contact me. Important for Mavericks users: the Cadabra dependencies fail to build on Apple's latest OS. This is under investigation; if you have any insight please let me know. Thanks to Greg Wright, cadabra is available for Mac OS X users through MacPorts; see the record for cadabra for details and the currently available version. Simply type "sudo port install cadabra" and all required software will be installed automatically (note: this may install some software which you already have installed from other sources). If you do not want the graphical user interface, add the +no_gui option at the end. After installation, the command cadabra will start the command line version and xcadabra will start the graphical front-end. Cadabra's configure script will look for these libraries and programs, and tell you when you need to install them. Consult the documentation of these programs/libraries for installation instructions. Again, this should be a matter of configure/make/make install. If compilation succeeds, you can also try "make test" for some self-tests (which should all pass). As always, please mail me if you need help. There is also a TeXmacs frontend, displayed in the screenshots below. The associated TeXmacs files can be found in the "texmacs" subdirectory of the source tarball.